Everybody loves a mascot! 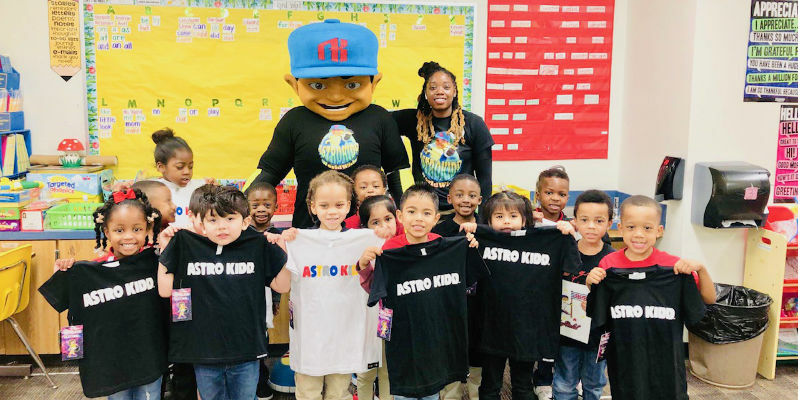 Whether your mascot is energizing fans at a sporting event, educating attendees at a trade show, engaging families at a fundraiser or promoting your brand, they are friendly, spirited and help make moments more memorable. Once the day is done, however, your mascot is often put away until its next adventure. Your audience is left waiting for the next opportunity to interact with your mascot, but they have no idea when that will be. This doesn’t need to be the case. In fact, by following these two simple tips you can let your fans bring your mascot home with them. While there is nothing quite like experiencing a mascot up close and personal, there are ways for your mascot’s fans to engage with your mascot outside of their regular performances. One of the most effective ways to achieve this is through social media. When a mascot is given a voice through social media, engagement with your audience increases significantly. Brand mascots are able to assume a persona that consumers find fun to communicate with, speaking in the first person and sharing stories and photographs online. They are given an opportunity to humanize your brand, improve your brand story, and provide a softer way to sell products or increase brand awareness. The most common channels for mascots are Facebook, Instagram and Twitter. If time and resources are a concern, then it’s best to only launch social media profiles that will immediately benefit your business. It’s important to think long and hard about your target audience and your overall goal. Which channel are your current and potential customers likely to be using? Which channels fit into your overall brand strategy and mascot voice? Another great way to help your fans extend their experience with your mascot is through promotional items that feature your mascot. Items such as t-shirts, hats, mugs, stickers, temporary tattoos, journals, stuffed animals and so much more, can be easily customized with your mascot’s image. These can be a great way to create a revenue stream for your organization, school or sports team or they can be used for giveaways at your events. Promotional items are not only a great way to create an additional revenue stream, they also give your customers a way to take your mascot home - which allows your organization to stay top-of-mind. By using these two methods to enhance your mascot marketing strategy, you can improve its effectiveness, increase brand awareness and further engage audiences. Want to learn more? Contact BAM Mascots today.